In this article I will describe how to enable signing in using Google Id, Windows Open Id, Facebook or Yahoo account to a SharePoint 2010 site collection. As authentication provider I will use Windows Azure Platform. Create an account on Windows Azure Platform using your Windows Live Id. There is 90 days evaluation period available on Windows Azure that is free, additionaly the Access Control Services I will use as authnetication provider are free at least until December 2012. During the registration process you will be however asked to fill in you credit card number. For more information about pricing see this. 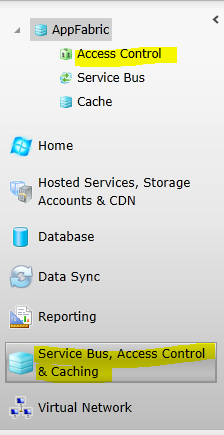 After you created your azure account go to the Windows Azure management portal https://windows.azure.com/. Click “Identity providers” and add the providers that should be used in your SharePoint site collection for the authentication. See folllowing image. Click Relying party application button in the left tab and add a new Relying application and fill the form as marked in the following image. 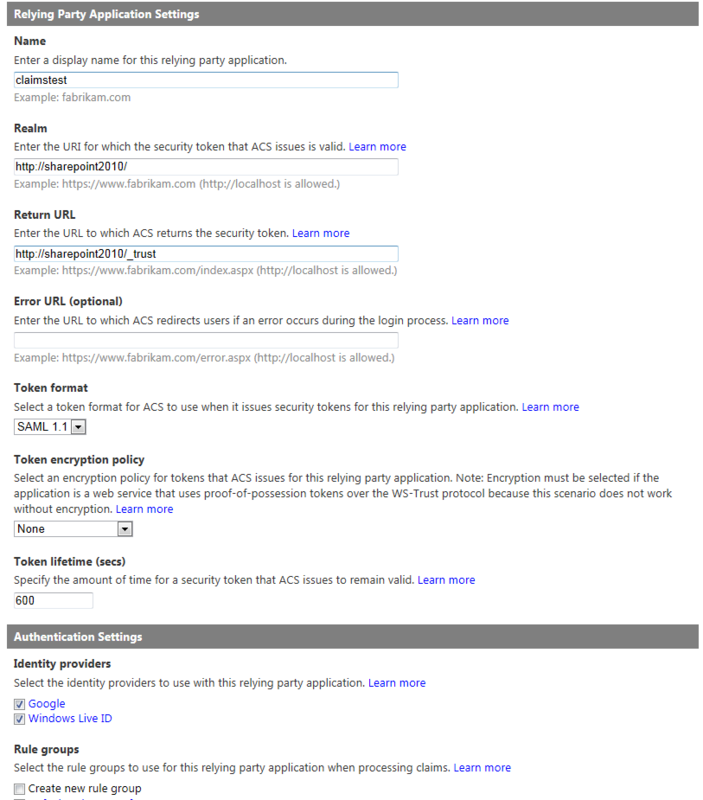 The url should be the url of your sharepoint web application. Click “Application Integration” under “Development” tab. Then “Login pages” and then your relying service application. For now you are done with the azure platform configuration. 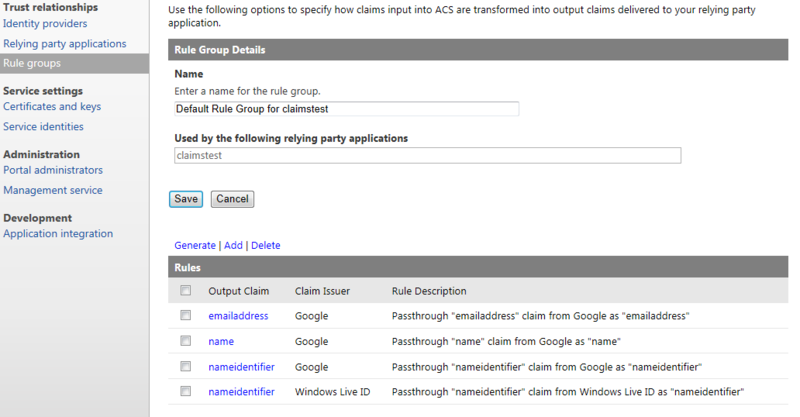 Now go to your SharePoint server where should be the claims authentication enabled. Here http://msdn.microsoft.com/en-us/library/gg185932.aspx you can find a description how to export the newly created certificate for the communication betwen SharePoint and Azure. Once you have the file go back to Azure platform to your namespace and click “Certificates and keys” and click “Add” button in the “Token signing” section. $realm (it is the Url you gave in the Relying Application Settings as Realm). Mind the slashes. The names of the providers. You are currently browsing the archives for the Claims category.